The unofficial Habsburg empire became an official empire in 1804, hundreds of years after Rudolph I first marched into Vienna. Its name? The Austrian Empire. But why the sudden need for formality? 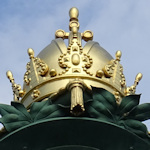 What happened was that Franz II, Holy Roman Emperor, and head of the Habsburg lands, saw the writing on the wall when a certain Napoleon Bonaparte declared himself Emperor of France. It was clear that the days of the Holy Roman Empire were numbered, given Napoleon’s ambitions. There are only so many Emperors you can fit into one continent. 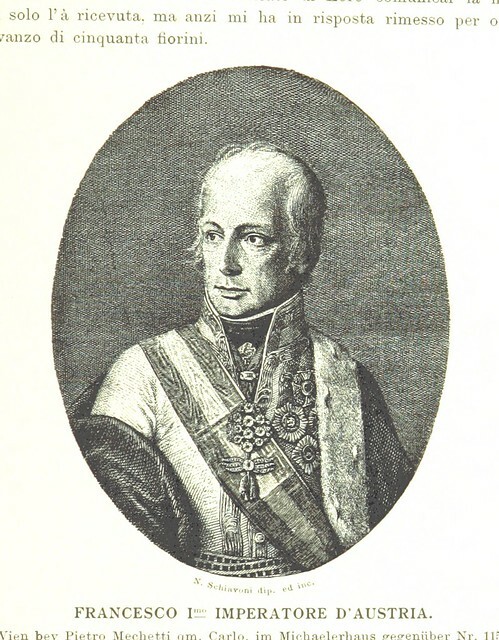 As a reaction, and as part of contingency plans for Napoleon playing havoc in Europe, Franz declared his lands were now the Austrian Empire and gave himself the hereditary title of Emperor. Better safe than sorry. After all, nobody wants to be just a King, regardless of how many places you may be King of, when you’ve been used to being an Emperor. It wasn’t just vanity that motivated Franz. The idea was also that a formal, standalone empire would be more likely to survive any Napoleonic troubles relatively intact and independent. After Napoleon beat the Austrians and Russians in the battle of Austerlitz in 1805, Franz ceded various possessions to the French Emperor and his allies. In July, 1806, Napoleon then established the Confederation of the Rhine, a collection of German states under French hegemony. Membership of the Confederation saw all these German states leave the Holy Roman Empire, representing a death blow to that particular political grouping. In August, 1806, Franz abdicated as Holy Roman Emperor and dissolved the Holy Roman Empire. Of course, thanks to the advanced planning, Emperor Franz II then simply became Emperor Franz I of the “new” Austrian empire he’d called to life two years previously. Unfortunately for the new Emperor, his contingency plan didn’t quite work out as intended. Franz I was still an Emperor, but Napoleon continued with his expansionist tendencies, backed up by a nasty habit of winning battles: negotiations over territorial integrity can be difficult when there’s a persuasively-large French army on your doorstep. The Austrian Empire did indeed survive. But, for example, conflicts with France led to peace treaties in 1807 and 1809 that saw many more of the Habsburg territories removed from its rule. Fortunately for Franz, European history is like a never-ending game of snakes and ladders: one minute you’re on top, the next you’re not. Napoleon’s eventual defeat allowed Austria and his other enemies to reorganise borders again more favourably at the famous Congress of Vienna in 1814/1815. Despite Napoleon’s defeat, the Austrian Empire didn’t last too long, becoming the Austro-Hungarian Empire in 1867.